Everyone is fascinated by these ethereal forms! They are beautiful to hang on display in the home, they are also very fun to make!! 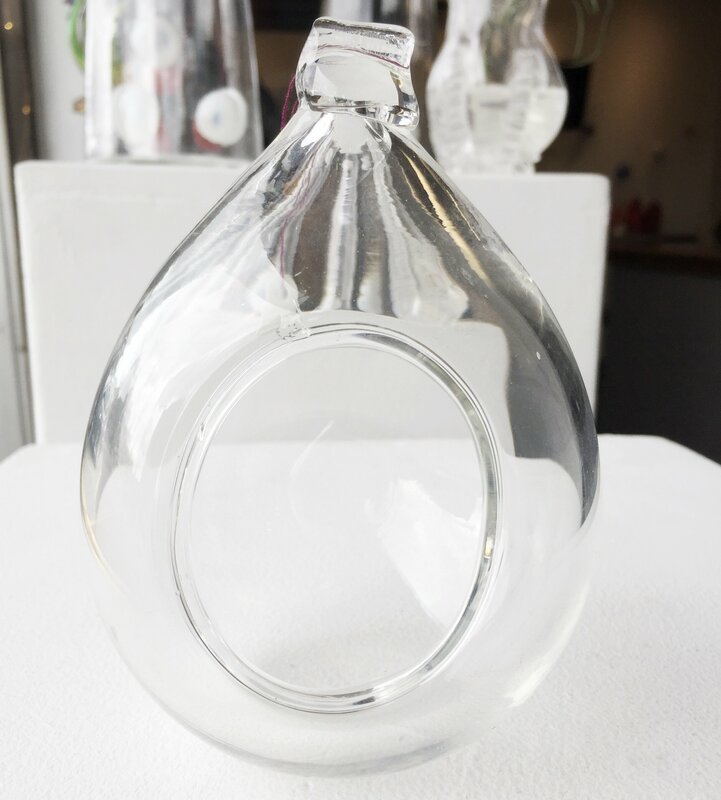 These clear glass orbs go an extra step beyond the standard ornament sessions and have students swinging their ball to form a teardrop shape. Students then get the choice of using a torch to create an opening. The items are finished by adding a fixed hook to the top. Ideal for showcasing air plants or succulents, but also usable as (electric) candle holders or bird feeders! *Can accommodate private groups of up to 4 people. Terrariums in this class are limited to small scale. If you would like to make larger terrariums, we’d be happy to have you in for a private session charged at an hourly rate. This entry was posted in glassblowing and tagged Speciality Classes by MELODY. Bookmark the permalink.